With your help, the AANEM Foundation can fund research that will improve the lives of patients with neuromuscular diseases. AANEM offers a variety of educational materials designed to suit a wide spectrum of individual learning needs. Need materials that cover the basics of NM and EDX medicine? We've got you covered. How about advanced educational materials for the seasoned health care professional? We offer those too! AANEM is committed to delivering ongoing educational resources to help you provide the highest quality of care to your patients. AANEM educational products and programs focus on prevention, diagnosis, treatment, research, and ethical issues related to NM, EDX, and MSK medicine. AANEM offers a multitude of CME/CEU opportunities to fit your learning needs. 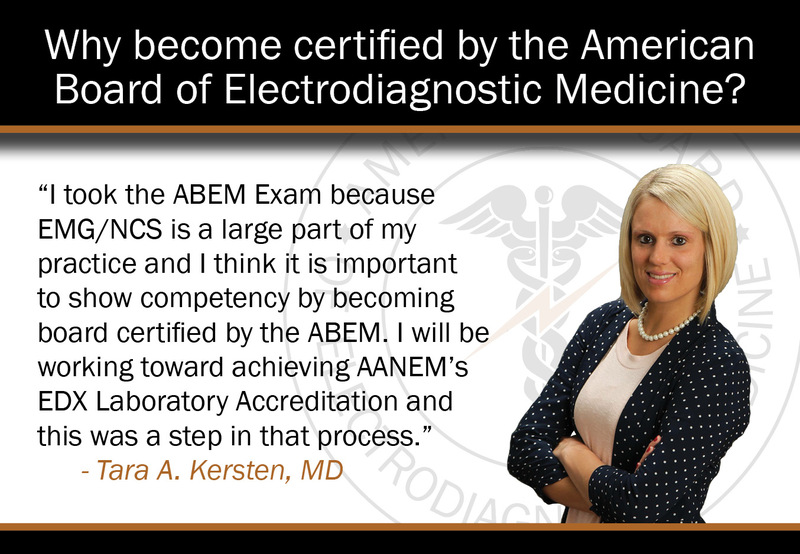 AANEM provides educational products that fulfill requirements for ABEM, ABPN, and ABPMR maintenance of certification programs. AANEM offers 2 self-assessment examinations (SAEs) —the EDX SAE and the NM SAE. Do you have suggestions on additional products AANEM should offer? Are there topics you'd like to see developed into specific AANEM products? Please send us your ideas. Are you a technologist contributing to the clinical practice of NM and EDX medicine? We have tools for you! 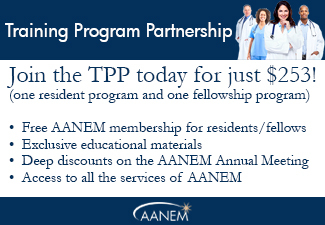 If your training program could benefit from resources that will help residents and/or fellows reach EMG/NCS or neuromuscular milestones, then the Training Program Partnership (TPP) is perfect for you! The AANEM News Science Editorial Board provides journal article summaries on relevant topics of interest related to NM and EDX medicine. See the committee's News Science Anthology of articles from February 2018 to December 2018. The AANEM offers your company the chance to meet its marketing objectives through participation at the AANEM Annual Meeting or throughout the year by advertising in newsletters, on the website, or supporting AANEM's educational products.